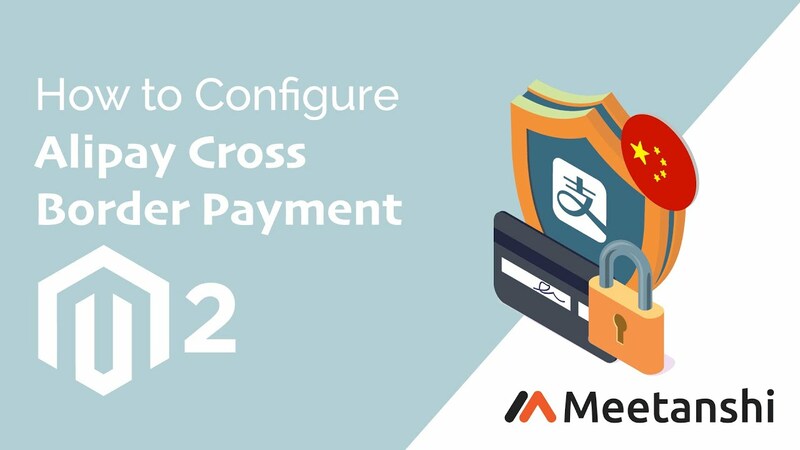 Magento 2 Alipay Cross Border Payment by Meetanshi helps your Magento 2 stores to accept secure online payments from chinese users using Alipay Payment Gateway. Alipay is a third-party mobile and online payment platform by Alibaba Group.In China, Alipay Payment gateway is a primary method used by all Chinese customers to pay online. Magento 2 Alipay Cross Border Payment Extension by Meetanshi allows a store owner to accept payments from customers in China by integrating the Magento store with Alipay payment gateway. To help serve your customers in China better, you can use Magento 2 Alipay to receive payments online. Providing Alipay Payment method, you'll gain the trust of Chinese customers and it will help run smooth business in China. Magento 2 Alipay Cross Border Payment Extension enables integration of your Magento 2 store with Alipay payment to provide online payment service to users in China. While using Alipay, customers will be redirected to payment page hosted by Alipay. Due to this process, there is assured security for customers' payment details as all cards are processed and store on Alipay’s server. Moreover, the merchants have to bear the minimum PCI compliance level due to the hosted payment page. Apply for PCI DSS compliance using SAQ-A form. The module supports all 16 currencies including CNY(RMB) during checkout. Supports multi-store and multi-currency options. Get the Magento 2 Alipay Cross Border Payment and provide secure payment services to your store's customers! Excellent Alipay implementation in Magento 2!